Thinking about your options to shelter equipment? If you're unsure whether a custom enclosure would be right for you, you're in the right place. We often get questions about the design and capabilities of custom aluminum enclosures. Here are the most asked questions and the answers to each. You may just find the answers you've been looking for. How do I gain access for routine maintenance? A custom aluminum enclosure can be built with access doors at your specified locations for ease of equipment maintenance. 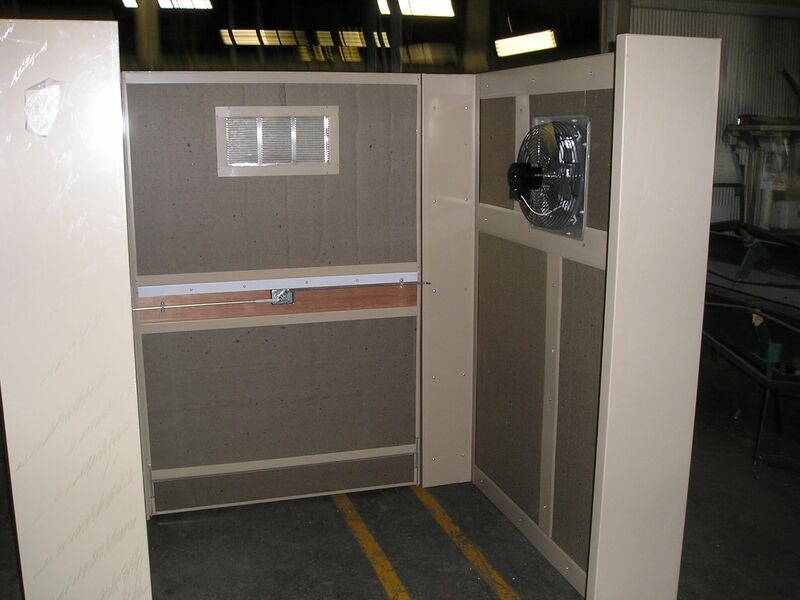 Many enclosure manufacturing companies can provide either removable doors or hinged doors. Make sure the doors are lockable for thief and vandal protection. Is it possible to remove equipment if it needs to be replaced? Equipment wears out or breaks down and needs to be replaced. Not a problem. You can improve accessibility by designing a custom enclosure with hinged double doors. That way a fork lift or pallet jack can be used to access and remove the equipment that is housed inside. Sometimes customers want to access and remove the equipment through the roof. This can be accomplished by designing a roof with panels that are easily removed. If the enclosure is small, the roof panels can be hinged for total access from above. The equipment generates heat, what can be done to remedy this? Designs should incorporate louvers and fans for venting when that is adequate. Some enclosure manufacturers can even provide air conditioning. This is vital when the climate is particularly hot or the equipment requires maximum ambient operating temperatures that are lower than venting can provide. My equipment is on a skid. Will an enclosure work? Yes, enclosure companies can adapt their custom shelters to allow anchoring to existing skids. Here is an example of a pair of custom aluminum enclosures that were designed to be mounted on a skid. 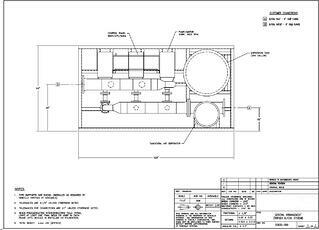 The enclosure company should be able to work closely with the design engineer for an exact fit to the skid. I need an enclosure made to a specific size. Is this possible? Most enclosure manufacturers can fabricate metal enclosures to fit your exact dimensions. 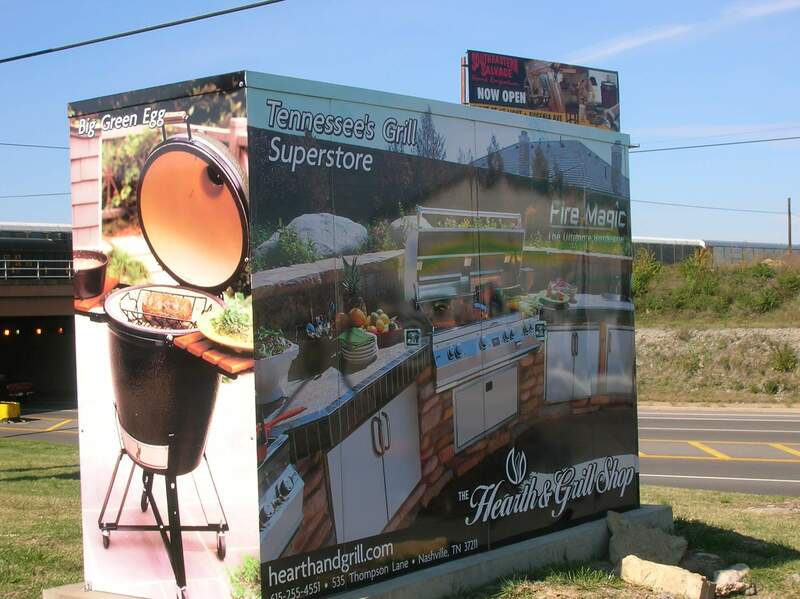 Depending on the materials and how the manufacturer builds enclosures, you may have something custom fabricated, or they may use a modular design to accomplish this. Modular enclosures can help keep costs low because even though the full enclosure is custom, the panels that make it up are not. There would be fewer extra fabricating costs passed on from manufacturer to customer. You can learn how to size your custom enclosure in this short video. How can I make the enclosure look nicer? The metal enclosures are available in several colors. For instance, all of our standard enclosure models come in four standard colors (slate grey, hartford green, sierra tan, and aluminum) with no additional cost. There are also numerous other color options that are available to choose from. This will vary from manufacturer to manufacturer. Other options, depending on the use, is to wrap the enclosure like the one seen here to the right or to hide the enclosure with landscaping. Get started on your custom enclosure design now. How long will it take to design my enclosure? What if I need it quickly? Once you have contacted your manufacturer for a quote, things should move pretty quickly. It only takes a few hours to produce a quote if you have a general idea of your design in mind already. 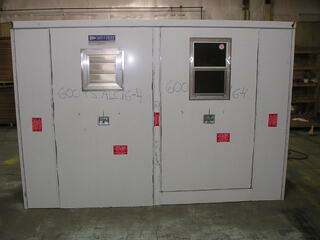 Designs for enclosures that shelter equipment can generally be made available in about a day. If there are some revisions to the design along the way, that can lengthen the design process. Some companies have a library of details so they can find a similar design and alter it to speed things up. Generally, a custom shelter should take no more than a month from the purchase order to delivery. It depends greatly on the size, number of access panels and doors, and any other custom features. You can get an idea of Safe-T-Cover's prices for different sized enclosures by looking through our standard models. You can see the height, width, and length for more than 50 sizes there. If you know how large your enclosure will be, that is a great starting point. Here is an in depth post all about how much our enclosures cost. The staff at Safe-T-Cover is always happy to answer these and other questions you may have about custom covers in depth. Enclosure manufacturers want to ensure the best protection for your equipment. If you'd like to talk about your specific need, please give us a call at 800-245-6333 or contact us here. To learn more about enclosure design and typical equipment shelter options, you may find this free PDF ebook helpful.